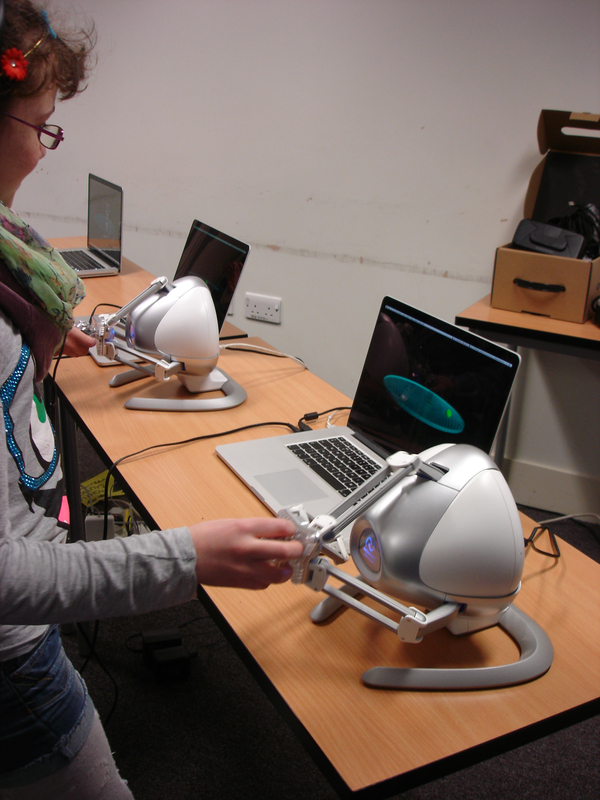 We took part in Science and Engineering Day at the University of Southampton on 14th March, with some new demos. 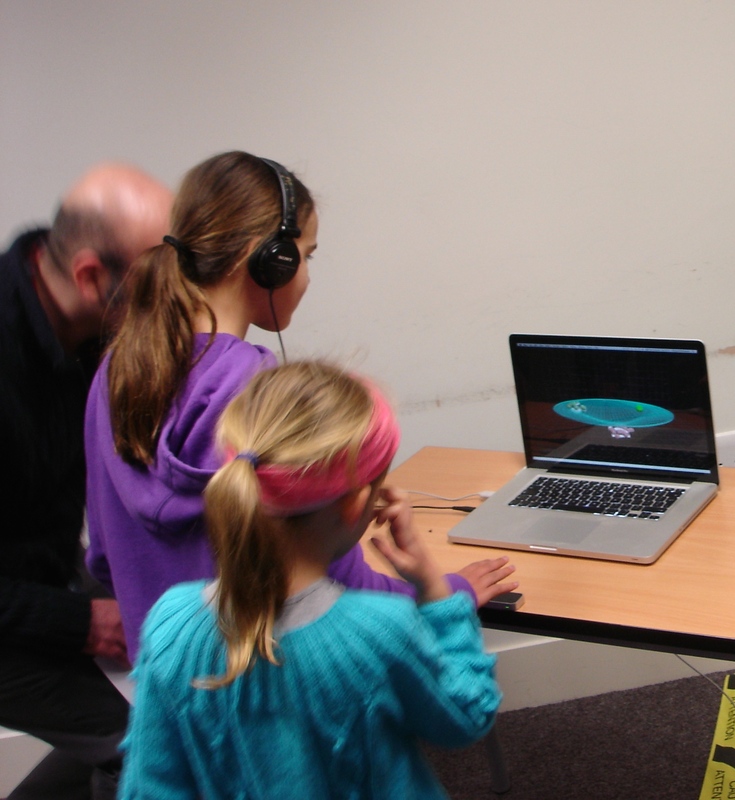 Some relate to the Hands On Sound project examining motion capture and sound processing, and some revised mmi (multi-modal instrument) demos comparing different types of feedback. We had lots of visitors all day who certainly seemed to enjoy the demos. My thanks to Chris Lucas and Dan Halford for their help on the day, and also to Dan for preparing some of the demos as well. It was lots of fun! 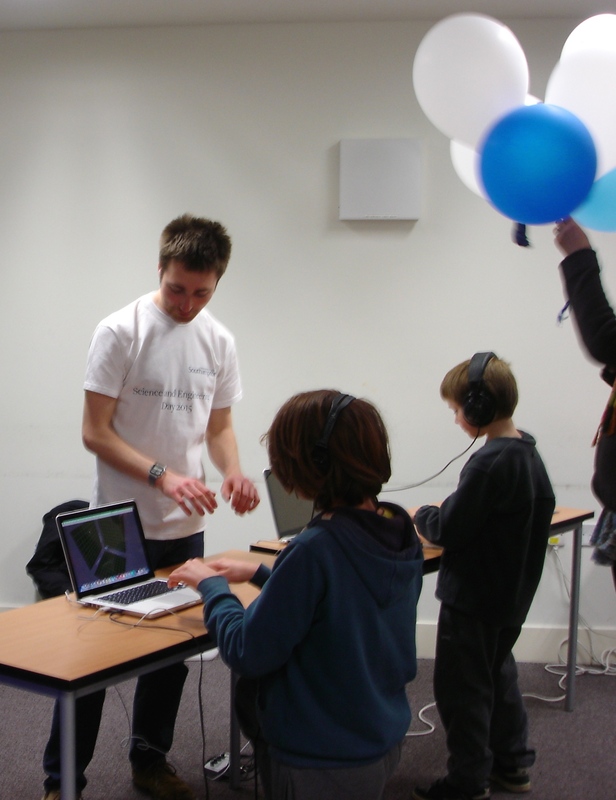 Hands on Sound: Chris Lucas helping visitors to Science and Engineering Day with a granular synthesis demo using a Leap Motion controller. 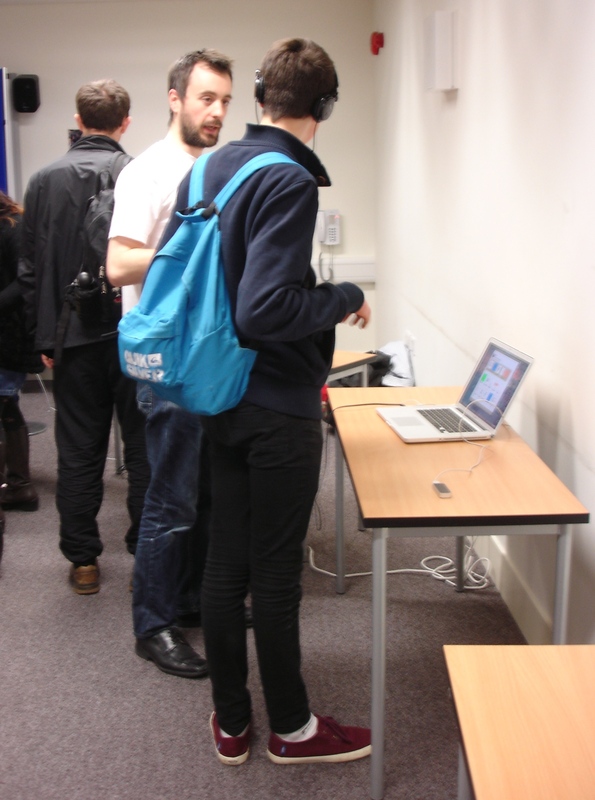 Hands on Sound: Dan Halford discussing sound processing and motion capture with visitor to Science and Engineering Day.